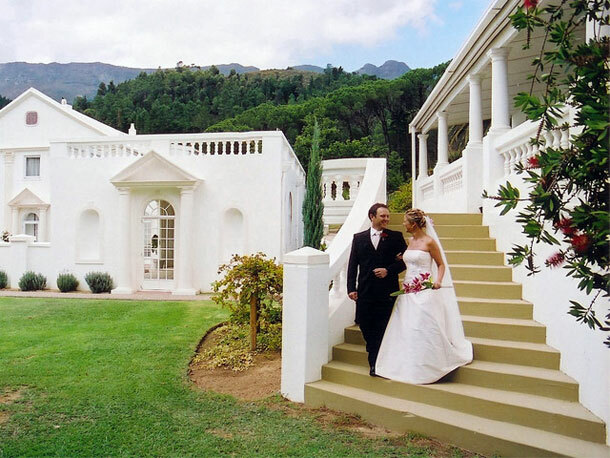 Situated on 23 picturesque hectares amongst olive orchards, vineyards, and buchu land, Cascade Country Manor in Paarl is an idyllic and luxurious private retreat. A small stream meanders through the estate and cascades down a little waterfall, creating a soothing and serene atmosphere most conducive to unequalled relaxing on the majestic porch of the Manor House, or in the stunning pool. Cascade Manor offers large function venues indoors and out. The possibilities are ample: A large marquee on the lavish lawns for your wedding reception? A luscious buffet on the patio? A big band playing the great standards of the Swing era? All of the above for a birthday bash to end all birthday bashes? The choice is yours, Cascade Manor will provide the setting. The venue can be viewed by appointment on Wednesdays between 15h30 and 19h30. If big weddings are a bit too much for you, Cascade Country Manor we will help you arrange your special smaller intimate wedding day. We have five bedrooms for your bridal party. 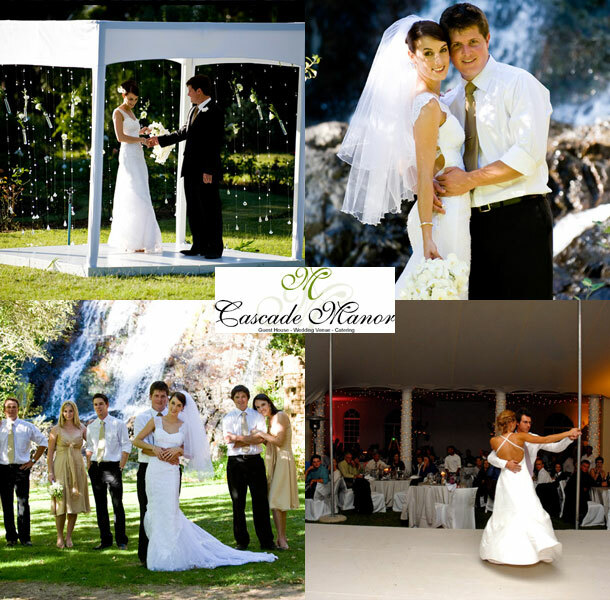 To book your wedding at this venues telephone the team on +27(0)21 868-0227. Alternatively to send an enquiry or for further details visit Cascade Country Manor.